Outer Reef Yachts, the world renowned long range cruising yacht manufacturer, pioneers another first in the industry by taking QR Code technology to the next level, through the new Outer Reef Yachts’ Quik Code System™. QR Codes are computer generated images used as a shortcut to connect directly with online resources, without having to type a URL into an internet browser. 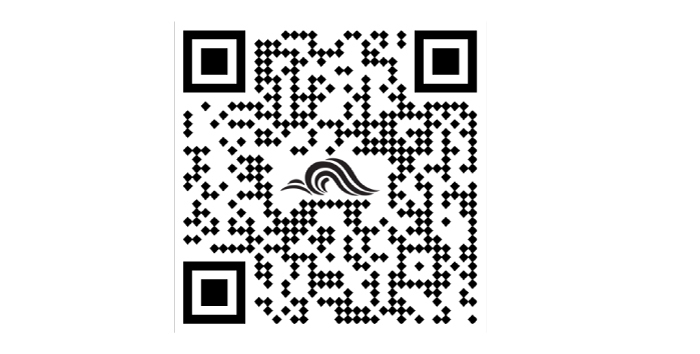 By assigning an individualized QR code to each piece of equipment throughout the yacht, the code will direct a user to the desired page and topic in Outer Reef’s digital Owner’s Instructional and Maintenance Manual. An owner operator, captain, or maintenance technician can quickly locate the specific information needed through the convenience of a hand held mobile device. 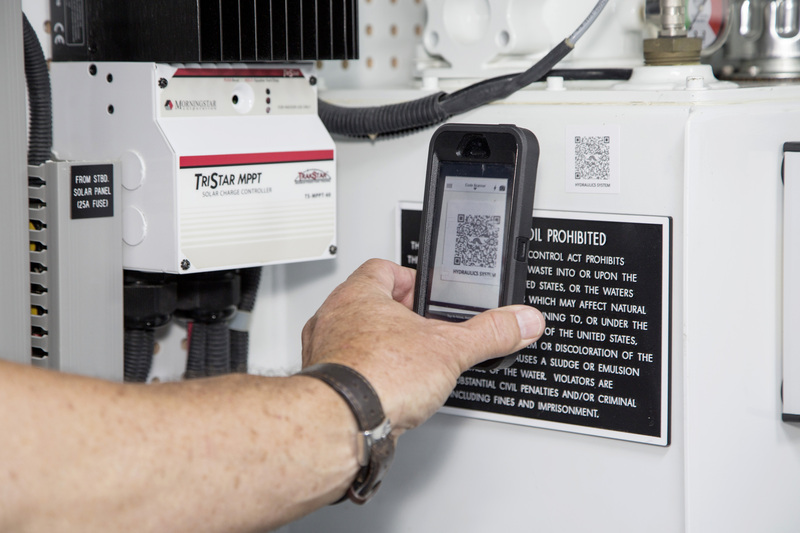 The owner, captain or technician, equipped with a smart phone or tablet will easily point and click to be directed to the equipment’s specific manual page, section, and topic, removing the need to search through a hard copy or scroll through the online service manual. 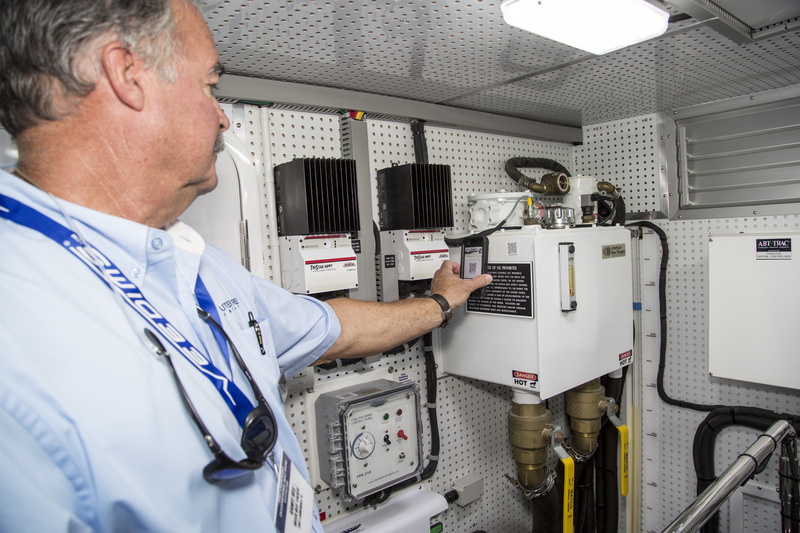 In short, this process provides instant access to the required information for all equipment throughout the yacht, from the Pilot House DC/AC Panels to the engine room’s hydraulic and fuel systems, etc. The Quik Code System™ is not the first ‘convenience technology’ pioneered by Outer Reef Yachts. Outer Reef Yachts was the first long range motoryacht manufacturer to provide each owner with an iPad version of the Owner’s Instructional and Maintenance Manual for their yachts. Owners, captains and maintenance technicians of all technical backgrounds will enjoy and appreciate the convenience of accessing all the information needed to operate, manage, and maintain the yacht via an iPad. The information housed on the iPad is provided by Outer Reef Yachts to Wheelhouse Technologies (www.wheelhousetech.com), a company that specializes in creating tailored owners manuals and proprietary maintenance programs. Wheelhouse Technologies also maintains the information, by continuously updating the database as needed, to ensure the user is referring to the most current manufacturer information at all times. All Outer Reef Yachts, globally, will display the new Quik Code System™. The first Outer Reef Yacht to showcase the new QR code technology to the general public will be on display at the upcoming 55th Fort Lauderdale Boat Show, October 30 through November 3rd, 2014 at Outer Reef’s location, B/C Dock 9,10,12.